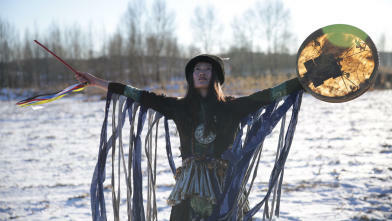 During the Awards Ceremony on Friday 2 February, IFFR announced the winner of the Hivos Tiger Competition 2018: The Widowed Witch by Cai Chengjie. Rami Alayan was awarded the Special Jury Award for exceptional artistic achievement for his screenplay of Muayad Alayan’s film The Reports on Sarah and Saleem. Polls showed Gustav Möller’s The Guilty was the audience favourite, and therefore winner of the IFFR Audience Award. The Bright Future Award was picked up by Tiago Melo for his film Azougue Nazaré. This year’s VPRO Big Screen Award went to Nina by Olga Chajdas; the film therefore will be broadcast on Dutch TV and released in Dutch theatres. All Hubert Bals Fund-supported films screening at IFFR 2018 were eligible for the Hubert Bals Fund Audience Award. This year, The Reports on Sarah and Saleem by Muayad Alayan received the highest audience rating. In congratulating all winners, Festival Director Bero Beyer said: “We’re very happy that the strong winners represent the bold spirit of the festival’s entire programming. They are filmmakers, both emerging and established, who use their talent to deliver a new view on our world. As diverse as they are, there seems to be a common thread: the beautiful and human thread of cinema! Two new awards were presented in 2018. Newsreel 63 – The Train of Shadows by Nika Autor won the Found Footage Award and Joy in People by Oscar Hudson won the Voices Short Audience Award. Two awards from critics’ organisations were presented. The FIPRESCI Award went to Balekempa by Ere Gowda. The KNF Award, given by the Circle of Dutch Film Journalists, was won by Zama by Lucrecia Martel. Nervous Translation by Shireen Seno won the NETPAC Award for best Asian film and the winner of the IFFR Youth Jury Award is The Guilty by Gustav Möller. The Hivos Tiger Award is IFFR’s main, most prestigious award and includes a cash prize of €40,000 to be divided between filmmaker and producer. The Tiger jury also chooses an outstanding artistic achievement within the Tiger competition to receive a Special Jury Award worth €10,000. Is there any hope in Erhao’s unfortunate life following the death of her third husband, when fellow villagers in rural China accuse her of having supernatural powers? Daring black-and-white drama with an unusual fatalistic/comedic worldview which also displays a neorealistic empathy for the victims of power and other unavoidable misery. Jury: Anthea Kennedy, Paula Astorga, Job ter Burg, Valeska Grisebach and Kim Kyungmook. Jury: Ania Trzebiatowska, Nathalie Alonse Casale and Ryan Krivoshey. A feature debut, fresh and cheerful in tone, from the Brazilian state if Pernambuco, where IFFR finds so many beautiful films. 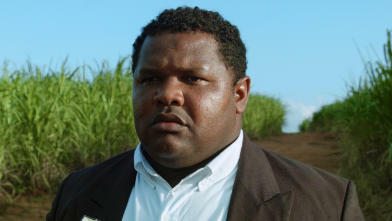 Mysterious events and religious conflicts influence love and relationships in the sugarcane fields around the town of Nazaré. A conflict emerges between the recent wave of evangelicals and the carnivalesque African traditions of maracatu rural. The winner of the VPRO Big Screen Award is chosen by an audience jury of five enthusiastic film-lovers. The film wins a guaranteed release in Dutch theatres and will be broadcast on Dutch public television channel NPO 2. Of the €30,000 in prize money, €15,000 is spent on the winning film’s theatrical release and €15,000 goes towards the production of the filmmaker’s next project. Jury: Miriam van den Brink, Nazanin Hedayati, Jasper Jacobs, Mees van Rooij and Tessa Verrijp. Masterful and sensuous drama about thirty something Nina, who is looking for a surrogate mother for the child she and her longtime husband desperately long for. Young, independent Magda looks like a suitable candidate. But everything changes when Nina unexpectedly gets attracted to her. A turbulent love story with a strong vibe. Using tear-to-vote slips, visitors can rate the films they’ve watched. The film with the highest rating at the end of the festival wins the IFFR Audience Award, worth €10,000. The highest-rated film supported by the Hubert Bals Fund wins the Hubert Bals Fund Audience Award, worth €10,000. The new Voices Short Audience Award is for narrative-driven short films from the festival’s Voices section. IFFR 2018 has screened five different Voices Short compilations, totalling over 20 films from 18 countries. The audience chose the winner (prize money €2,500) using voting cards after each screening. 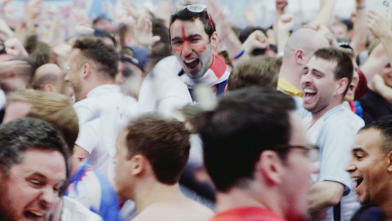 A man seeks to become a part of every crowd he encounters. Vivacious, guerilla-style filmmaking on the tricky rules and temptations of belonging. The FIPRESCI Award is given to the filmmaker of the best film among all the world premieres in Bright Future (excluding the Hivos Tiger Competition), by the jury of the Fédération Internationale de la Presse Cinématographique (FIPRESCI). Jury: Beáta-Hajnalka Berecki, Andrea Crozzoli, Paul Van Es, Fahmim Ferdous, Tara Judah, Paige Lim, Flavio Lira, Wilfred Okiche, Eithne Mary O’Neill and Héctor Oyarzún Galaz. The KNF Award is given to the best Dutch, or Dutch co-produced, feature film that is selected for IFFR 2018, as awarded by a jury from the Circle of Dutch Film Journalists. Jury: Elise van Dam, Hedwig van Driel, Fritz de Jong, Sasja Koetsier and Sabeth Snijders. 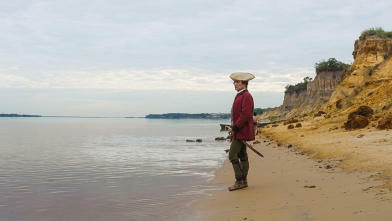 At the end of the eighteenth century Zama, a servant of the Spanish crown, whiles away his time on the banks of a South American river waiting for a letter from the king to reunite him with his wife – and civilisation. Martel’s film is an enchanting and original masterpiece that seems to have been made in a different era. The NETPAC Award is presented to the best Asian feature film world premiering at IFFR by a jury from the Network for the Promotion of Asian Cinema. Jury: Susanna Harutyunyan, Sonali Joshi and Andrei Vasilenko. Sensitive, sparkling film that captures the confusing and magical moments alike in the life of a child who, while preferring to be by herself, deep down also longs to be heard. The events of 1987 in the Philippines play a role in the background, but shy Yael is more concerned with her absent father, her uncle who is a rock star and a pen with special powers. Jury: Borah Spoorenberg, Jan van der Meer, Lana Kujundzic, Noah Bos, Rahab Ahmend and Tsania Hisbaron. A single space, a great lead, a compelling script and a nail-biting soundtrack is all debut director Gustav Möller needs to captivate his audience for 90 minutes. 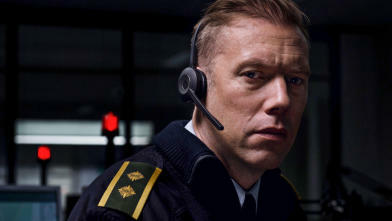 Asger Holm is fabulous as the tortured, headstrong cop hell bent on solving a disturbing phone call during a shift manning the emergency line. The new Found Footage Award is granted to a filmmaker who has made outstanding use of archive material. The award, worth €2,500, is supported by the Netherlands Institute for Sound and Vision. Jury: Nicole Brenez, Maarten Brinkerink and John Goff. For many, the idea of a train implies the connotation of travel in pursuit of happiness. No surprise then that refugees also like to share in this dream. The winning films of the equal awards each worth €5,000 are Mountain Plain Mountain by Araki Yu and Daniel Jacoby, Rose Gold by Sara Cwynar and With History in a Room Filled with People with Funny Names 4 by Korakrit Arunanondchai. The jury also nominated WHAT’S THE DAMAGE by Heather Phillipson to compete in the short film category of the European Film Awards (EFA) later this year. Want to know more about the winners? On Sunday 28 January 2018, a three person professional jury announced the three winners of this year’s Ammodo Tiger Short Competition at IFFR.